I recently submitted an interview with Creative Talents Unleashed. They are the ones who published my last poetry book titled: Turmoil. Turmoil is my second book of poetry. The book has different poems that reflect on difficult times in my life. I do hope the poems can help anyone experiencing anything similar, and can find hope, and inspiration. As part of my preface I wrote "Here's hoping to connect." I always want to connect with my readers, and hope to again. I have shared the link to my interview, but I have also pasted it here. Thank you all for your continued support. At the bottom of the interview you will find the excerpt of "The Walls" one of the poems in Turmoil. Click on the link to read the poem :) Thank you. Creative Talents Unleashed: Hi Ana, thank you for agreeing to this interview. Ana: Thank you for allowing me this opportunity. Ana: I was born in New York City, but I was raised in the projects of East New York Brooklyn. I am the third youngest of seven children, and I graduated from William H. Maxwell high school in 1988. I am the mother of two boys Jason and Kristofer, and we live in Staten Island with their father Walter. I published my first novel Love Child in 2011, and have published two sequels Child No More, and Child Scorned since that time. 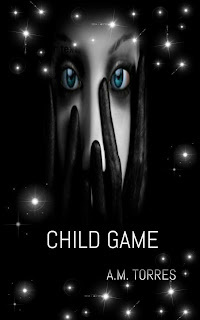 (The Child Series) I have also published two poetry books Shadowed Tears, and Turmoil which was recently released. Turmoil is my first published book with Creative Talent Unleashed. Ana: Its hard to pinpoint only one thing, but it feels like I’ve always been writing. When I was in the fifth grade, I wrote an essay on winter. It was a class assignment, and the essay was chosen as one of the best four in the class. For my birthday that year my parents bought me my first diary, and I still remember how thrilled I was with that gift. It helped set me on the path I chose, and never stopped dreaming about. Ana: Besides loving the art, I write to express. With my Child Series, I’ve attempted to bring attention to social issues that mean a lot to me from depression, abandonment, suicide, bullying, and poverty just to name a few things. Telling a story through fiction has been very rewarding. Its no different with poetry. I attempt to express many things in that medium as well, only with poetry everything is more straightforward which can make it more challenging for me. Ana: I take two notebooks everywhere I go. One is for novel writing where I post my ideas for future novels. The other one is for poetry where I write ideas when the inspiration comes. Some of that inspiration has come from real life experiences. I have also found music to be very inspiring especially from musicians who have written their own music. The songs that come from the heart, the ones that tell a story are my favorites. They are similar to poetry in my mind, and this has led to inspiration especially when experiencing writers block. st thing about writing your book? Ana: Reliving some of my experiences for Turmoil was hard. It probably was the hardest thing about writing the book. But once the poems were completed, I felt that sense of accomplishment that comes from getting it done. That was a great feeling. Ana: After the writing, and editing were complete it was just getting it ready for publication after that. That was the easiest part. Ana: I learned I’m more disciplined than I give myself credit for. As the writing of Turmoil took longer, and longer, I had to face that eventual deadline. I’d been given enough time to finish the book because of personal issues, but once the deadline loomed, I surprised myself, and paced myself better than I realized. Ana: The writer and poet is responsible for everything they write, especially when it offends a reader. Even so the writer and poet should also be prepared to resist any censorship they may face because of this. Censorship should always be met with resistance, and it is the responsibility of the writer and poet to stay on top of that. Ana: I hope to be an established and well known writer/poet who can support herself on her writing. Ana: I have a good share of favorites, but Sylvia Plath is the poet I can relate with the most. I’ve been inspired by so much of her poetry, and quotes. One of those quotes I’d like to share is this one “Everything in life is writable about if you have the outgoing guts to do it, and the imagination to improvise. The worst enemy to creativity is self doubt.” As someone who goes though a good deal of self-doubt, this quote has helped me focus when I’ve struggled, and for me its a constant struggle. Ana: Write every day. No matter how busy you get, find the time even if that’s ten or twenty minutes daily. Don’t allow anyone to discourage you. Some may tell you that that writing is not a real job, but don’t let that stop you from pursuing it. You will face a lot of frustrations, but its worth it. I’ve become a writer and a poet, and I wouldn’t have it any other way.